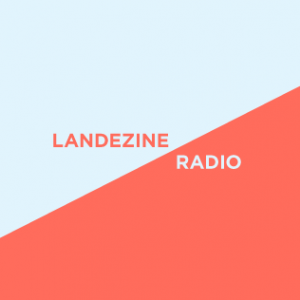 H+N+S won LILA – Landezine International Landscape Award 2017. 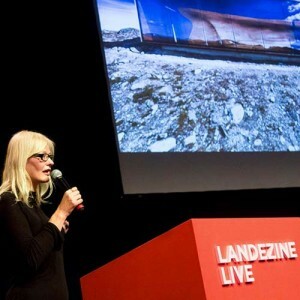 H+N+S is a design laboratory that focuses on innovation in research & design. The office works in mixed-aged teams in which many years of experience is combined with fresh ideas. In the project teams there is cross-fertilization between expertise and innovation, focused on making discoveries. In doing so the office makes use of the extended experience, the large collection of professional literature from the office library and the professional expertise of our partners. 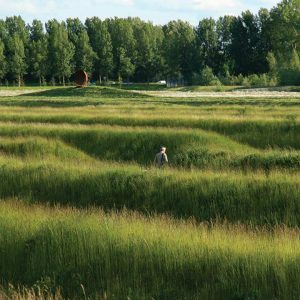 H+N+S Landscape Architects is a landscape architecture firm where urban design, vision building and research go hand in hand. 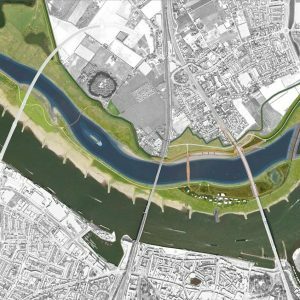 The firm creates innovative plans for the design of the (green) outdoor space at all scale levels: from garden to regional landscape and from dike to river system. H+N+S works for national, provincial and municipal governments, district water boards, market players, non-governmental organisations and private individuals. 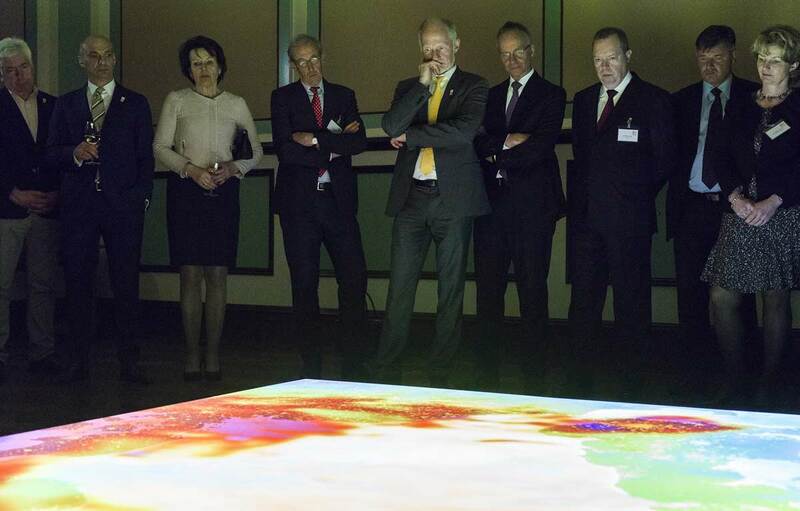 The office sees the Netherlands as a large artwork. 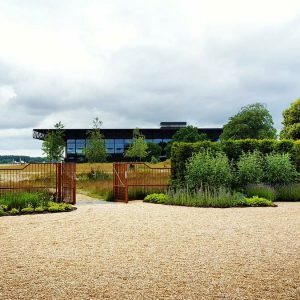 Our work is as a result rooted in the tradition in which the landscape is always a result of a meaningful intervention by man in his surroundings. 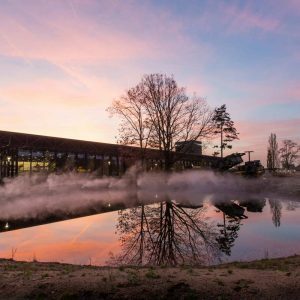 H+N+S sees its work as conducive to the public cause, and the office designs and realizes plans for over 25 years in which answers are presented for the societal challenges of today and tomorrow. The office embraces qualities presented by culture and history, and strives to give simple and practical solutions for complicated issues. 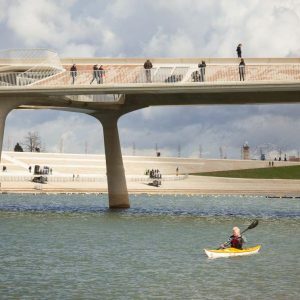 Where possible, the office collaborates intensively with users and inhabitants of city and landscape. Giving form and meaning to the relation of man and his surroundings is an important source of inspiration for H+N+S. This translates to an attitude where our professionals are always keen on ongoing trends and interests in society. Also in project teams, collaboration is a core concept. 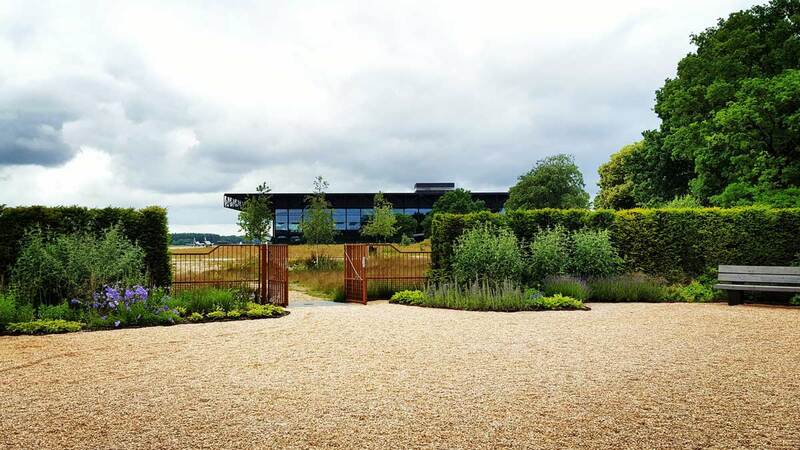 H+N+S is a monodisciplanary office, in which almost every designer is a landscape architect. Our team is very aware of the profession, and is also aware when other professionals are needed. For this reason, H+N+S often collaborates with disciplines such as architects, heritage experts, urban planners, ecologists and engineers. Over the years, the office gathered an great network of specialists who together form a broad expertise. 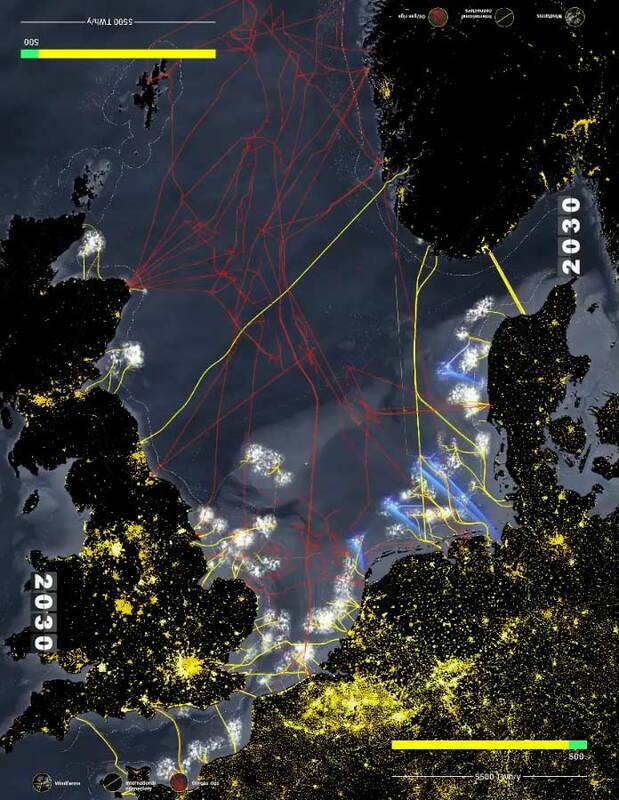 Behind current themes such as water safety and energy transition, a complex world lies hidden. 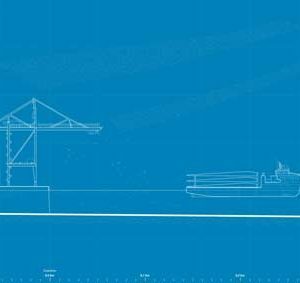 A large variety of (technical) disciplines bring important inputs to address the challenges. And in these themes, diverse interests play a role, that are in cases opposites. 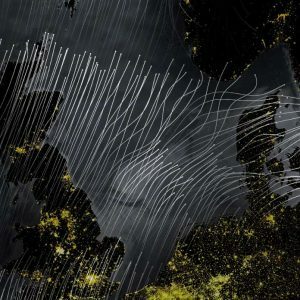 H+N+S always operates in an integral approach, aimed at connecting the disciplines and interests. H+N+S uses the binding force of design, in which the office tries to combine the input from the diverse players in drawings. In dialogue with the players and stakeholder, we try to test and see how an overarching concept can be developed. 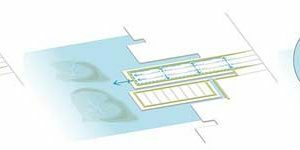 In the recent years, a growing need for this method has been observed, in which content and process are treated with this inclusive approach. 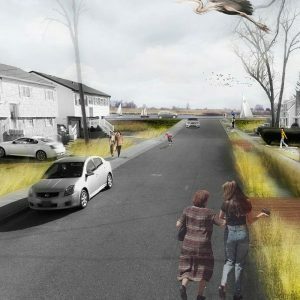 H+N+S uses a landscape approach, in which the landscape is seen as a system of layers that interact. 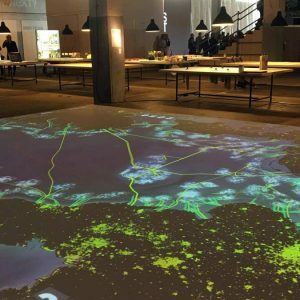 The office takes a starting point in landscape-forming forces and processes, such as soil formation, hydrology, natural dynamics, infrastructure development and occupation. 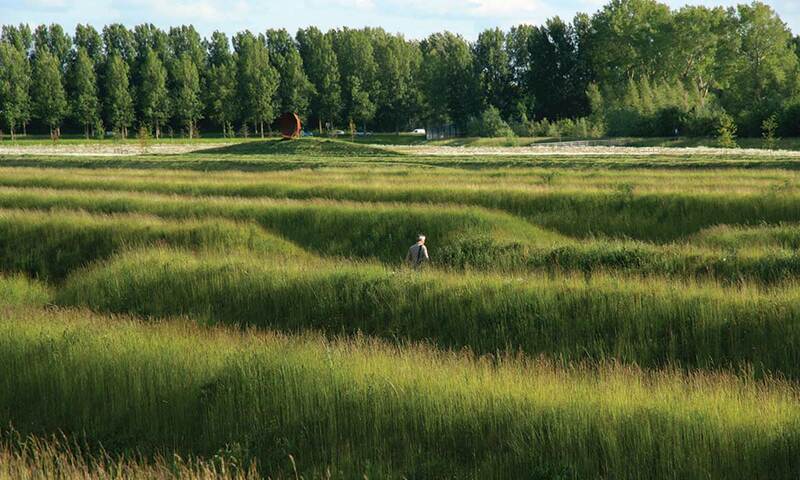 As in many places in the (low) Netherlands, the quality of the design comes from the logic of the layers of the landscape and the way man interacts with it. H+N+S is always looking for multi-layeredness, for smart combinations that make a plan better achievable or more valuable. The search to create added value in every plan, is thus thé trade mark of H+N+S Landscape architects. 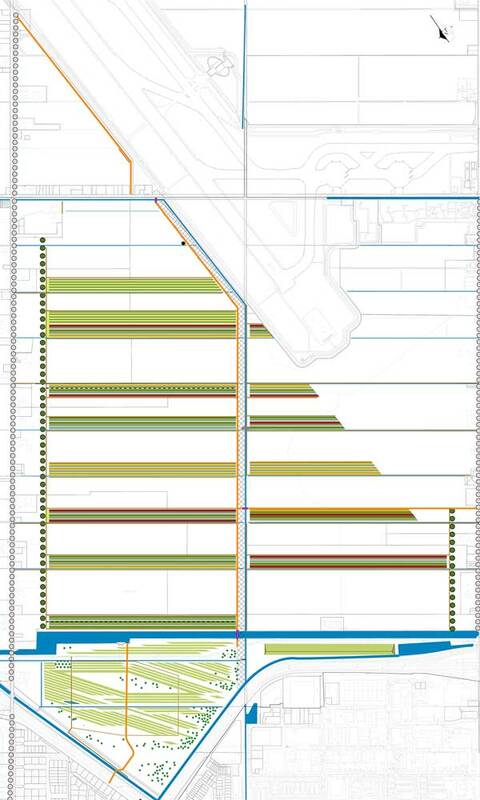 Landscape architecture is continuously developing. 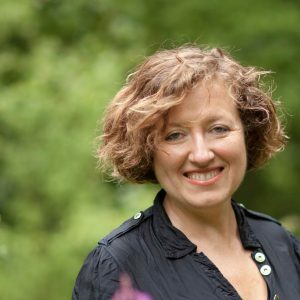 One of the big tasks for our profession comes from the large transitions that are needed towards a more sustainable society based on sustainable water-, energy- and production systems. 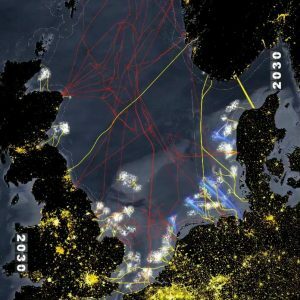 Our existing landscape will change drastically as a result of renewable energy production, storage and transport. Besides our work on the energy transition, themes such as water management and food production will remain tasks, both in regards to quality and quantity. 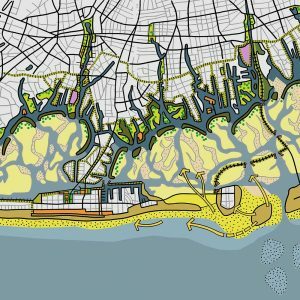 These are challenging tasks at which H+N+S is looking forward to work on, in its research into and design for the landscape of the future. 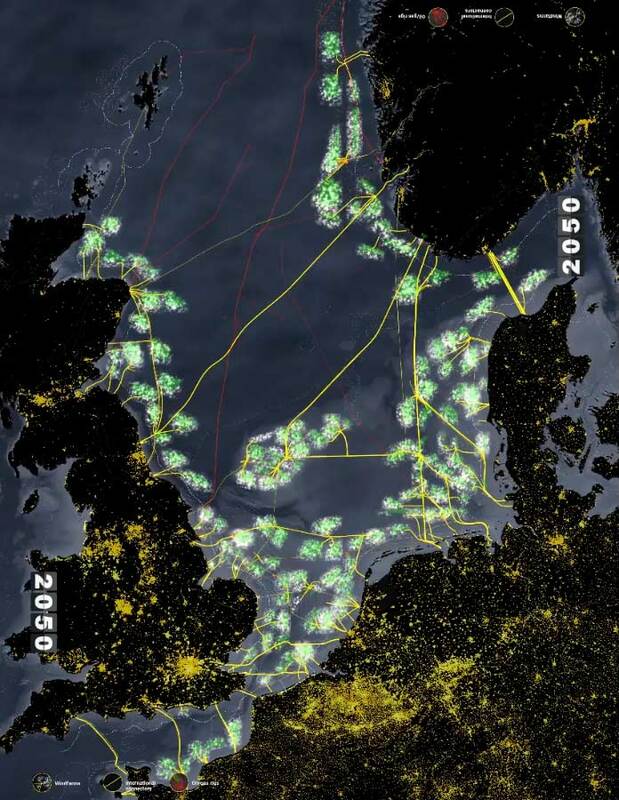 2050 – An Energetic Odyssey is a research by design on the possibilities, opportunities, and spatial implications of the realisation of large-scale harvesting, transportation and storage of renewable energy sources on and around the North Sea. 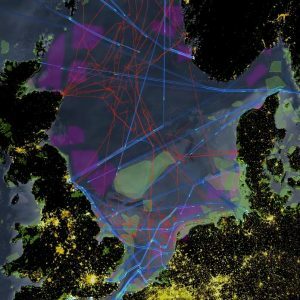 This project demonstrates the role the North Sea could play in meeting the globally agreed two-degree target. Europe has committed to reducing green house gas emissions by 2050 by 80-95%. 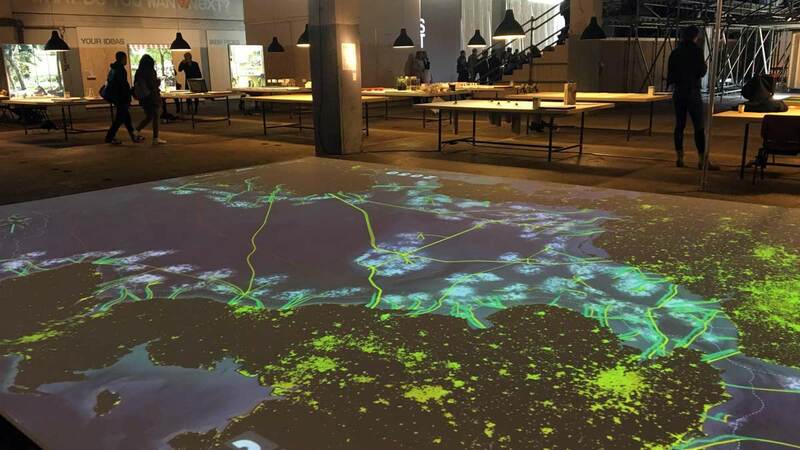 Commissioned by the IABR2016, H+N+S made a plan for the North Sea together with Ecofys & Tungsten Pro, in which renewable energy sources are utilised. 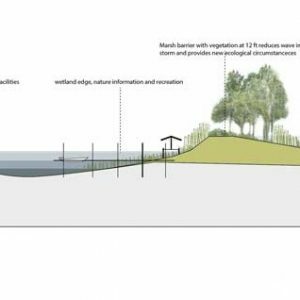 This plan outlines how that might look in practical terms and what the effects might be for nature, fishery, harbour development, economies, and recreation. 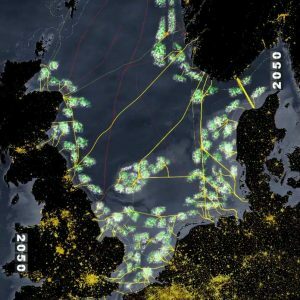 The plan represents a system leap that makes it possible to bridge the gap in renewable energy production by the very large-scale production of wind energy on the relatively shallow North Sea for the countries that surround it. 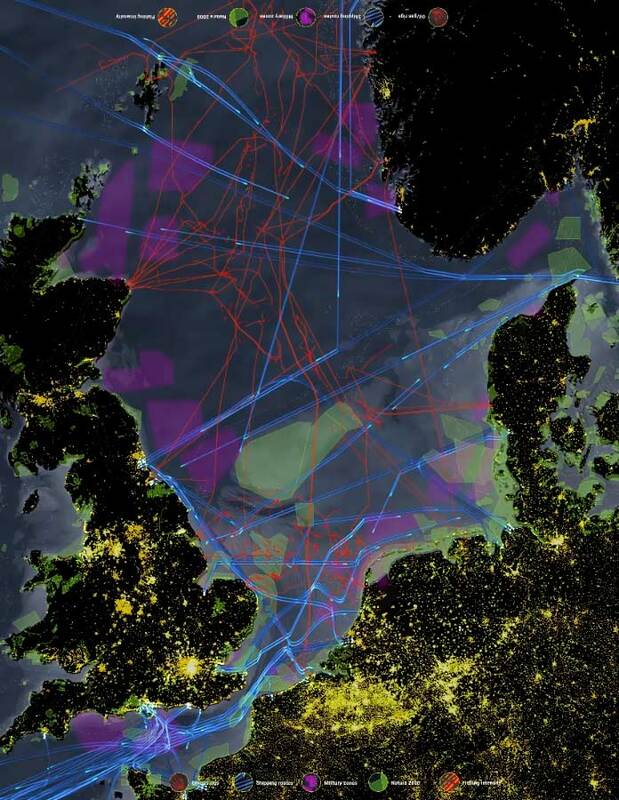 It demonstrates what such an ambitious approach involves, what infrastructure it requires, what it means to link up with the nature of the North Sea, what role the entrepreneurial state plays, which innovations this requires, and especially which new economic dynamic this will generate, for instance in the offshore sector. Research by design will facilitate this transition of imaginaries. 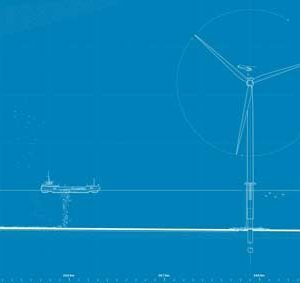 The aim of the installation is to create a reference point for a broad dialogue between public and private parties and a new, appealing step towards the realization of large-scale production, transportation, and storage of renewable energy on and around the North Sea. 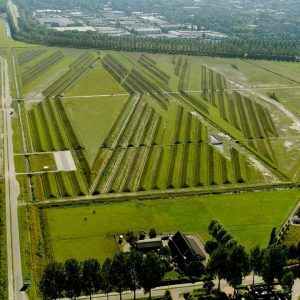 After the Polderbaan (5th runway at Schiphol Airport) was opened for operation in 2003, residents in the area were disturbed by ground noise (low frequency noise caused by aircraft taking off). 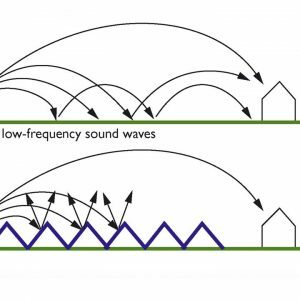 It was concluded that a 10dB reduction would seriously reduce the noise. Residents noticed that the noise was reduced when farmlands were ploughed. 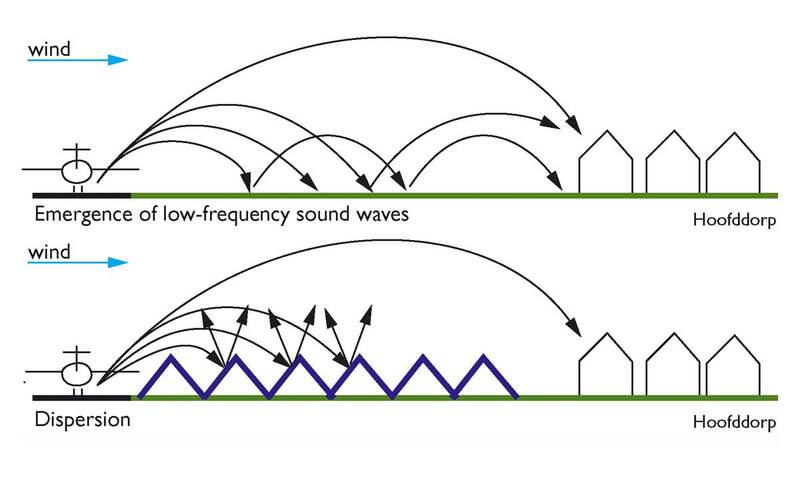 This was the starting point for a research into a noise-reducing landscape. 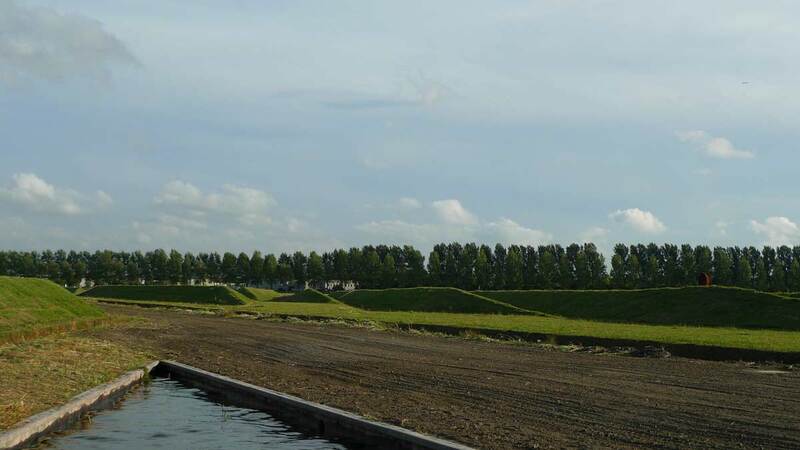 The basic element consists of 3-metre-high embankments which are 1, 10 metres below the land surface and distribute the noise. The 1 metre broad paths between the ridges also serve as walking paths. 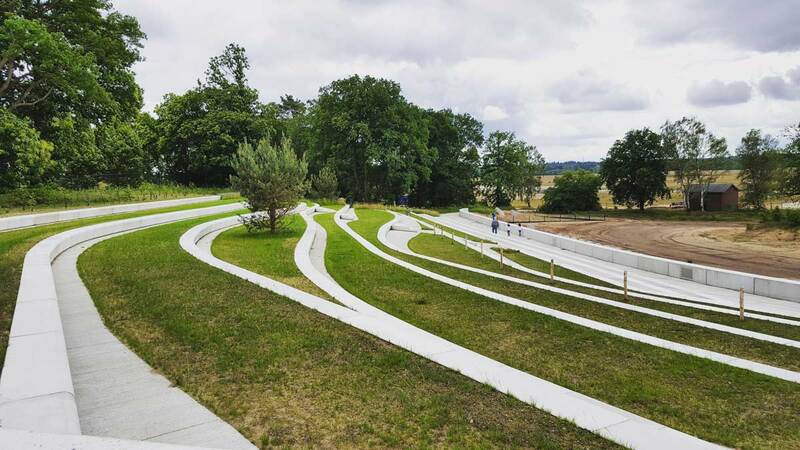 In Park Buitenschot a second principal direction for the ridges is introduced exactly perpendicular to the sound waves. 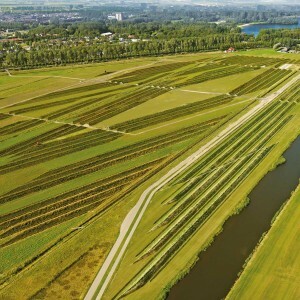 This relates to the linked ridges up to the Haarlemmermeer polder grid in a surprising way, generating an intriguing interplay of lines. Vistas and lines of sight, smaller and bigger rooms emerge, inviting you to sports and games or even cultural events. 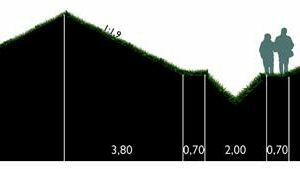 To the north and south the grassy ridge structure thins out until it dissolves in sole longitudinal pyramids distributed along the edges. Unique objects are on the pyramids which are inspired on the parabolic sound mirrors along the English coastline. 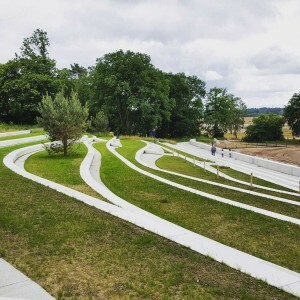 The park consists of a number of different spaces between the embankments. 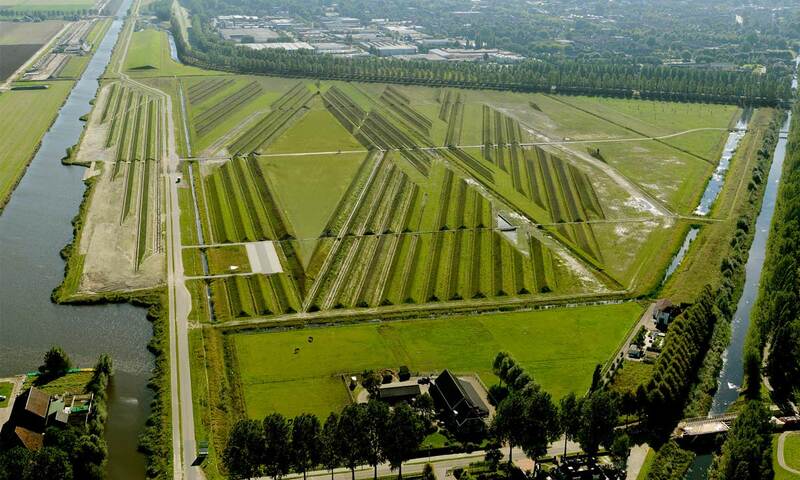 The heart of the park is formed by a 500 metre long and 100 metre wide plot. 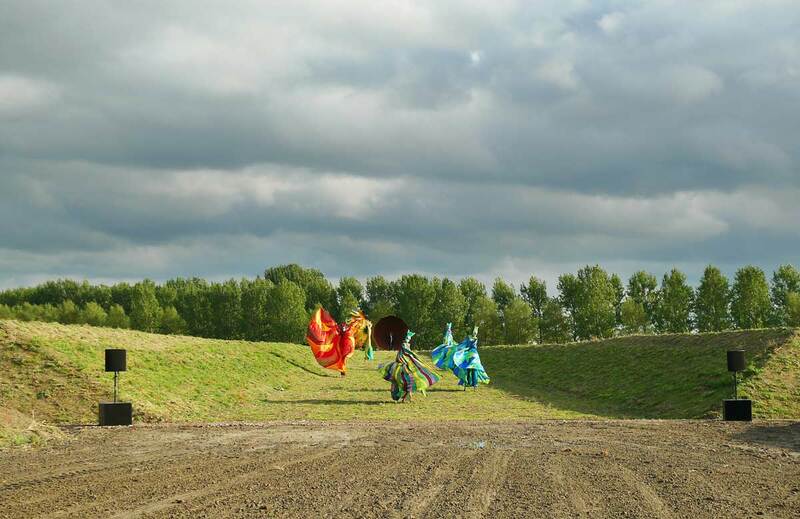 This offers ample space to be used as a playing field and during cultural events. 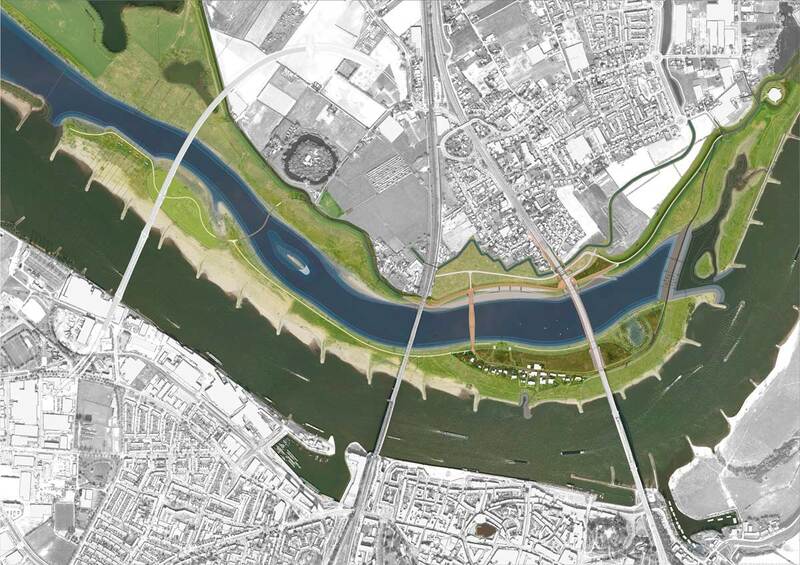 In addition to the large space there a number of smaller enclosed areas scattered between the embankments. 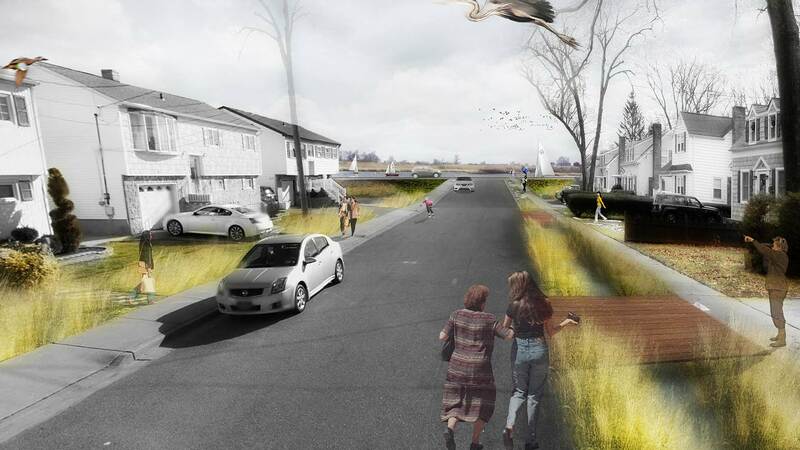 In June 2014, our team was named one of the winners of the Rebuild by Design Competition. 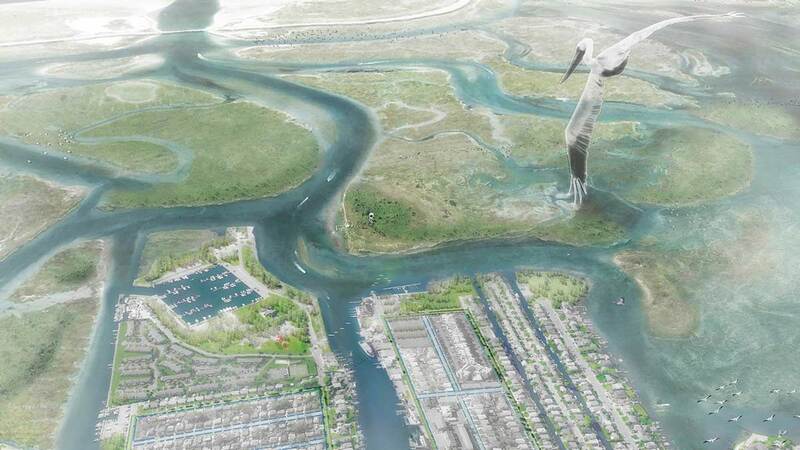 ‘Living with the Bay’ is the proposal for the south coast of the Nassau County, New York (USA). 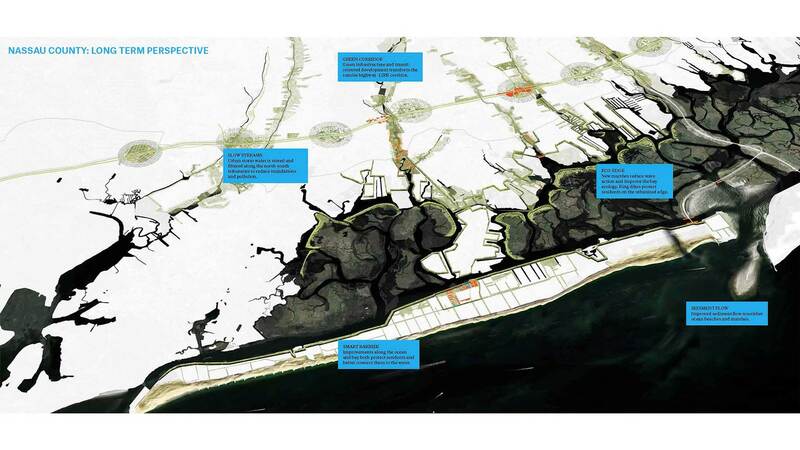 The proposal explores the different ways in which this region can develop into a flood-resistant area in the future. 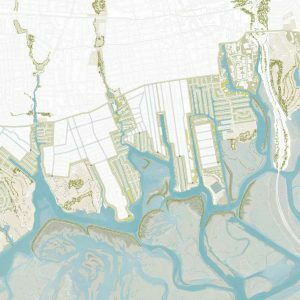 The design proposal is comprehensive and extensive, and covers the entire water and coastal system of the region – the higher, upstream areas, the rivers and creeks, the bay and marsh areas, and the offshore islands. 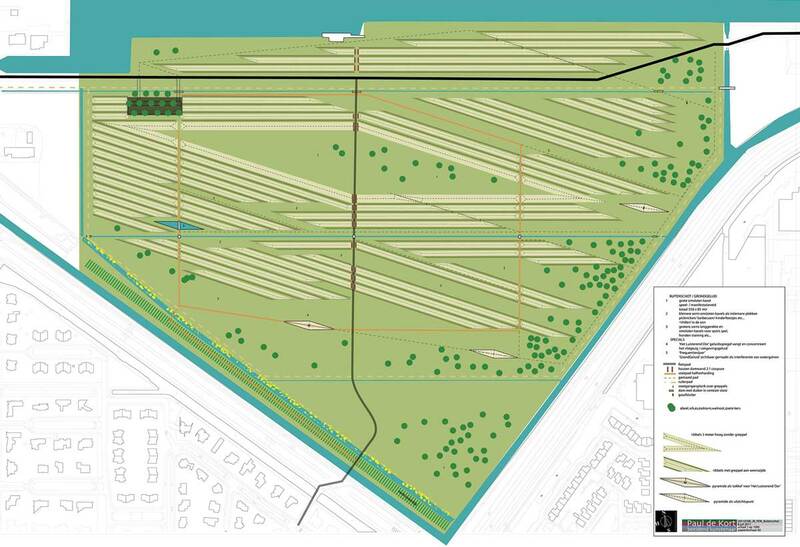 The Living with the Bay proposal envisions a “buffered bay” approach. 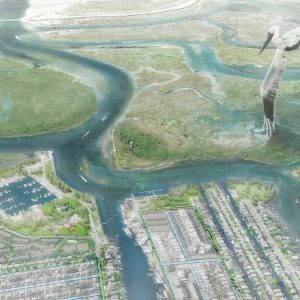 Hurricane Sandy’s storm surge caused most of the damage, and regular stormwater runoff and wastewater overflows continue to degrade the ecosystems that provide natural protections from storm surge. 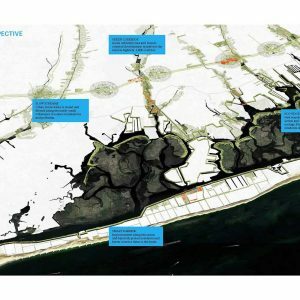 Strategies for the Barrier Island: The Smart Barrier Long Island’s barrier islands are among the region’s most vulnerable zones. 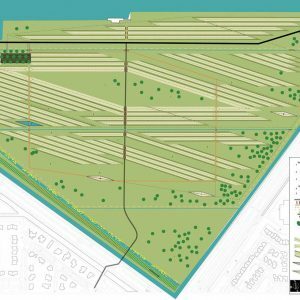 The proposal envisions protective infrastructure that doubles as an amenity to provide access to the bayshore, while also serving as a landscape where stormwater is stored, cleaned, and replenished. 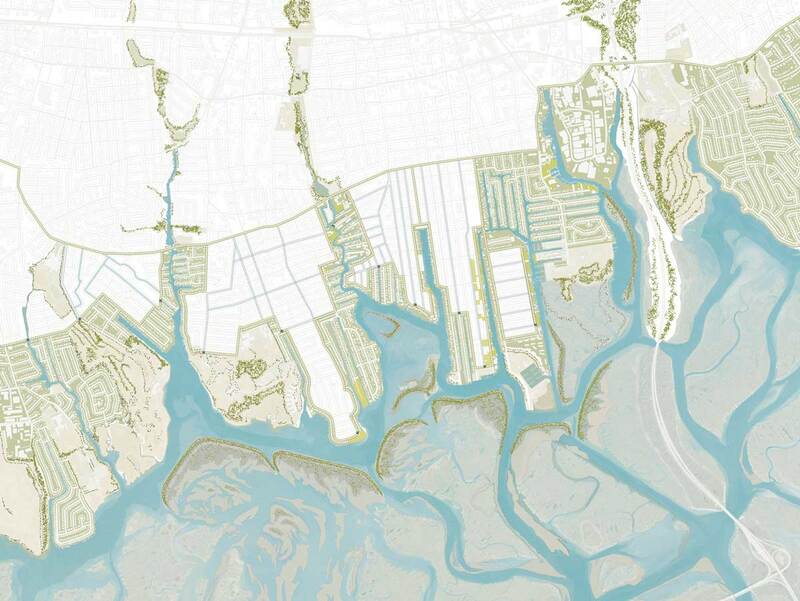 Wetlands—particularly saltwater marshes—buffer coastal communities. 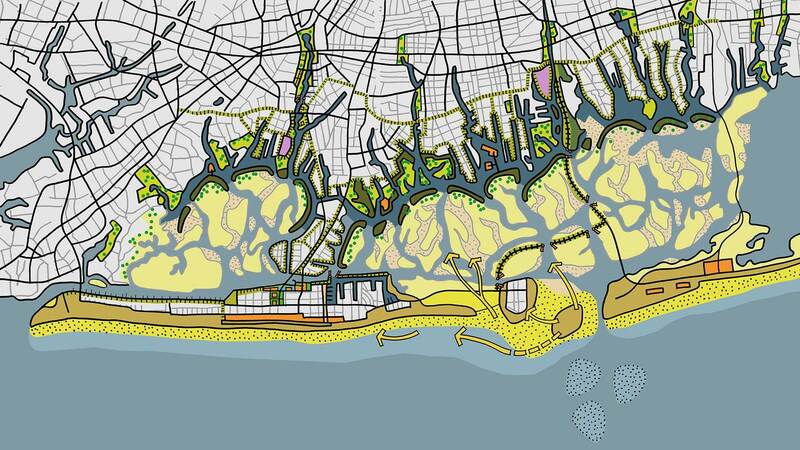 However, urban development has negatively affected Nassau County’s critical environment. 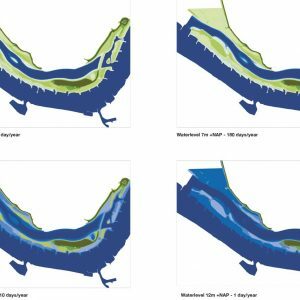 New marsh islands could reduce wave action, improve bay ecology, and afford new recreational opportunities. The areas around Southern Nassau’s north-south tributaries are threatened both by storm surge and rainfall flooding. 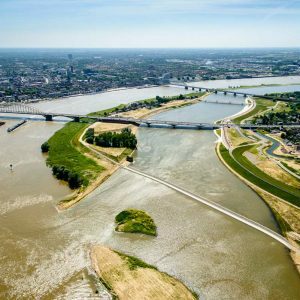 Addressing these threats could transform rivers into green-blue corridors that store and filter water, provide public space, and offer room for new urban development. 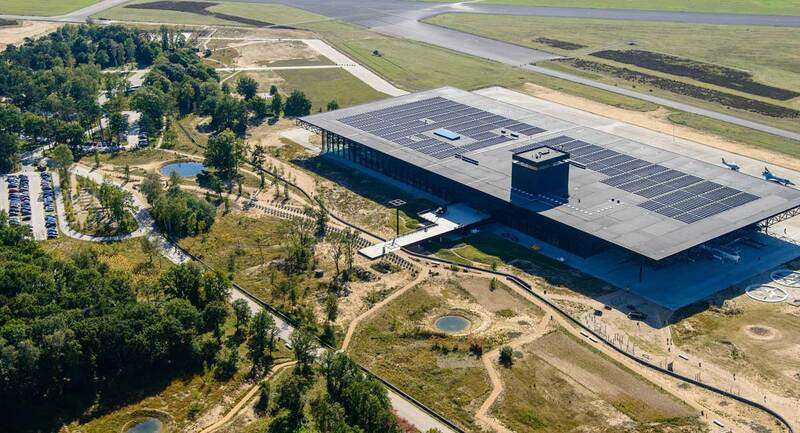 The National Military Museum in Soesterberg was designed in a tender of one year, with an integral approach towards the landscape, building, and exhibition design. The design team collaborated intensively, and scored almost maximum credits with their integral approach. 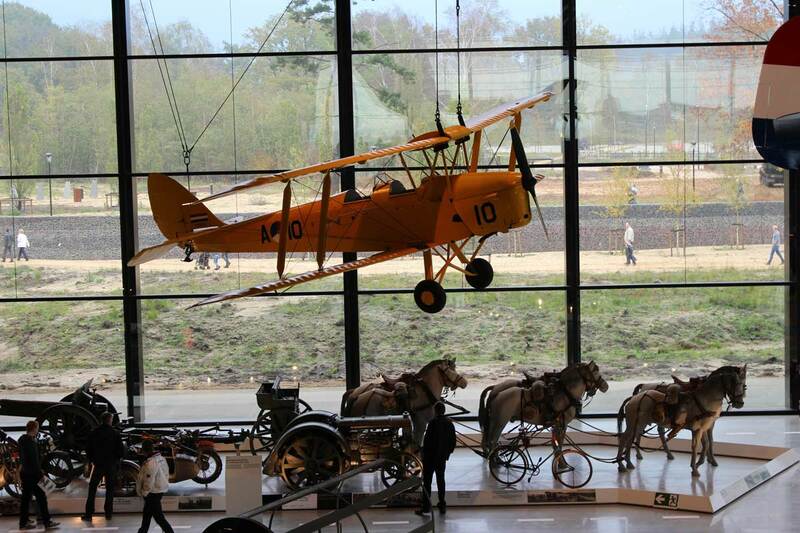 The project involves the design, build, finance, maintain and operate (DBFMO) for 25 years of the museum and its 45 hectare grounds. 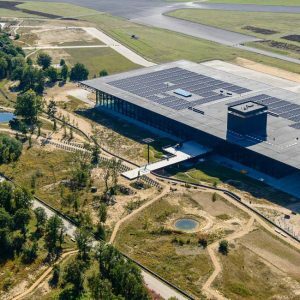 The merger of the army museum and air force museum into one new location at the former military airbase Soesterberg gave the team the chance to give the landscape the lead. 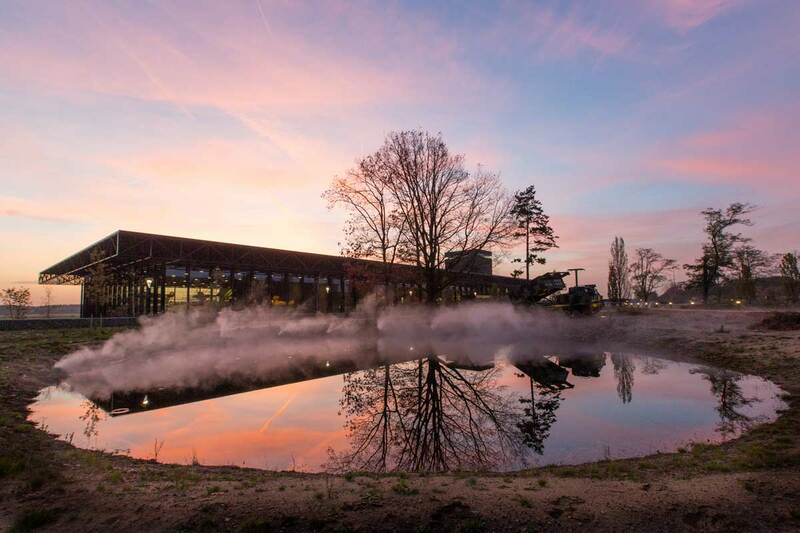 A plan was developed that invites and excites the visitor to experience the stories of the Dutch armed forces in a ‘real’ context. 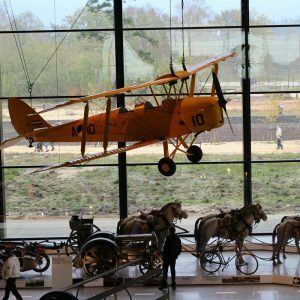 Multiple stories are told: the history of the place as birthplace of aviation in the Netherlands and the role of the site in World War 2 and in the Cold War, are explained by restored buildings and reopened bomb craters. 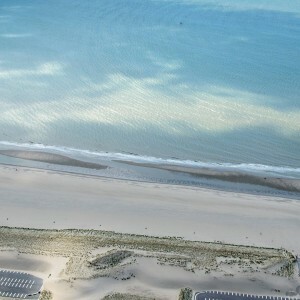 The wider surroundings of the area contain water defense lines and training grounds, which are all explained in the exhibition, the visitor centre and the lookout tower in the museum. 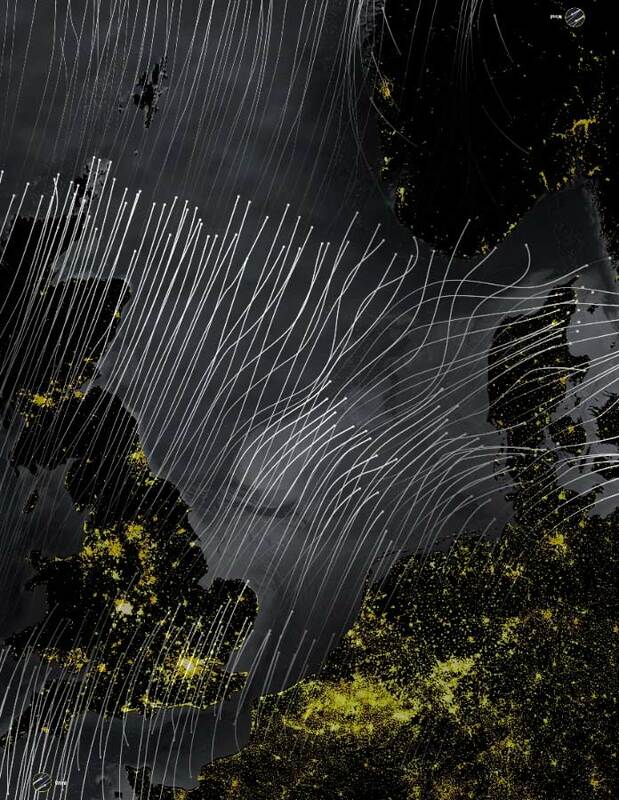 The close relation of the military with his surroundings are made sensible in the contrast between forest and heathland, open and enclosed spaces and in heights and ridges. 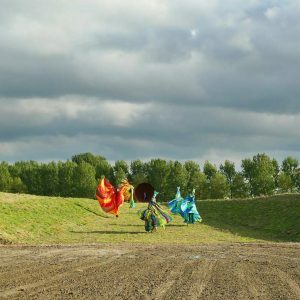 The result is an exciting landscape, where open and enclosed, tough and sensitive, form a unison, looking natural, but all designed. 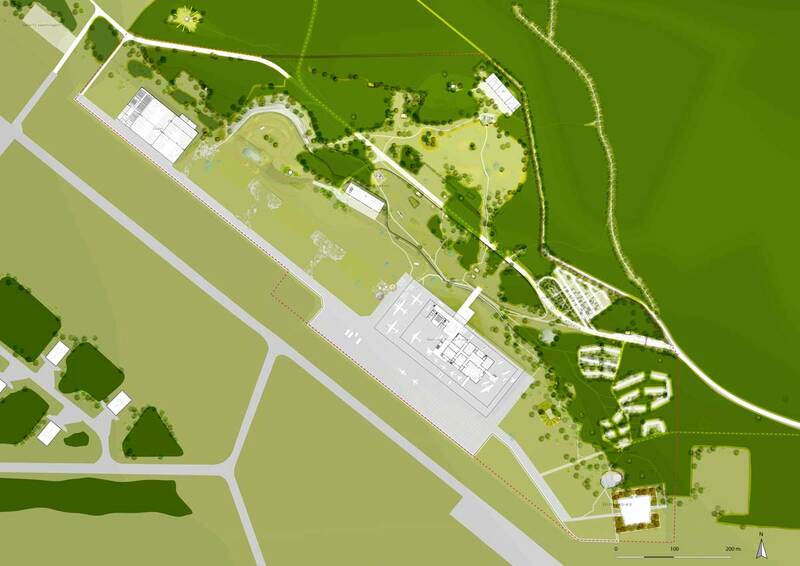 In the plan, the new transparent museum is placed right near the edge of new heathland and forest. It makes the landscape a decor for the collection in every direction. 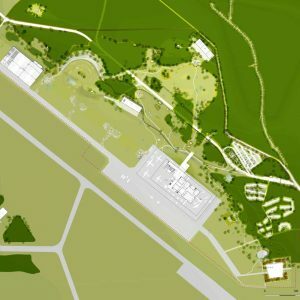 The whole Museum quarter is publicly accessible, and divided into terraces with each a dominant theme: on the hill the quiet nature area, in the middle the terrace that explains the local history of aviation, and below near the runways are the museum, the event sites and the memorial area. 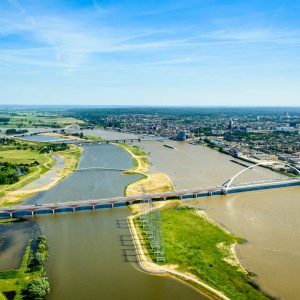 Due to climate change, river discharges in the Netherlands have increased and extreme high water levels will occur more frequently. After significant river floodings in 1995, the national ‘Room for the River’ programme was initiated. 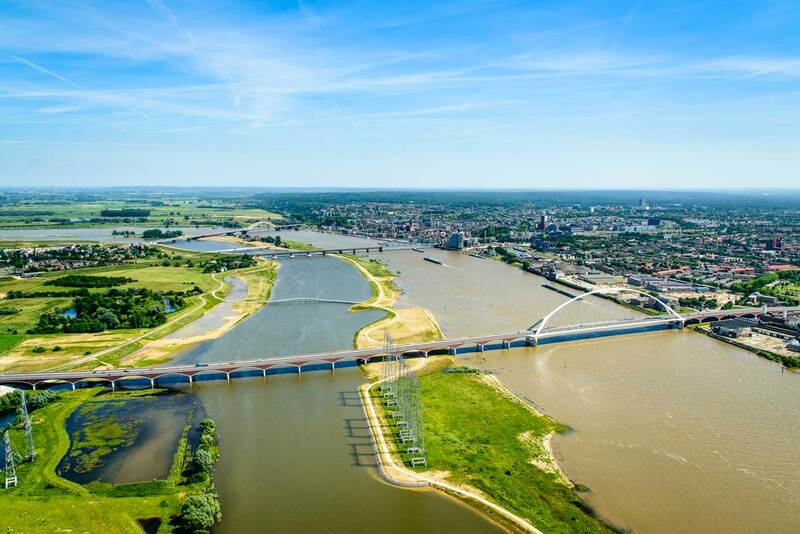 At more than 30 locations measures are taken to give the river more space, reduce flood risk and simultaneously improve the quality of the immediate surroundings. 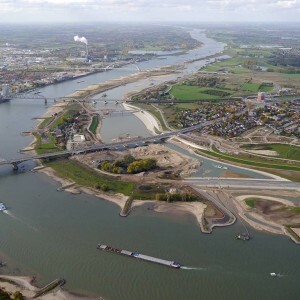 The project in Nijmegen is the most complex project within the programme. 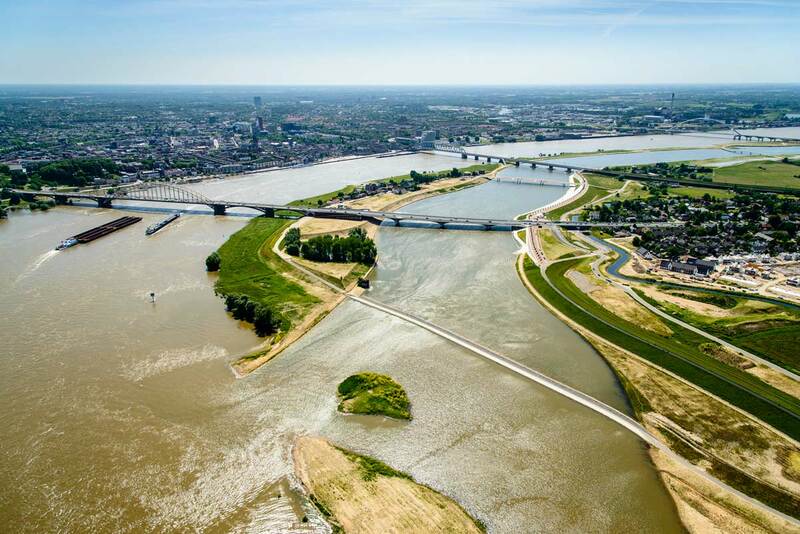 By constructing a bypass channel, an elongated island is created in the river Waal. 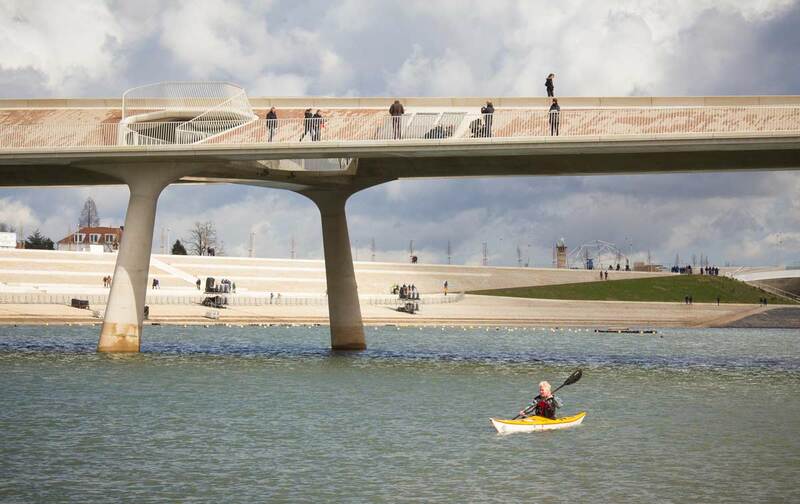 Several new bridges improve the connectivity of the area. 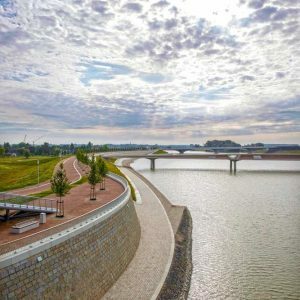 The island and bypass channel together form a river park that not only reduces flood risks, but also offers recreational, ecological and aesthetic values. 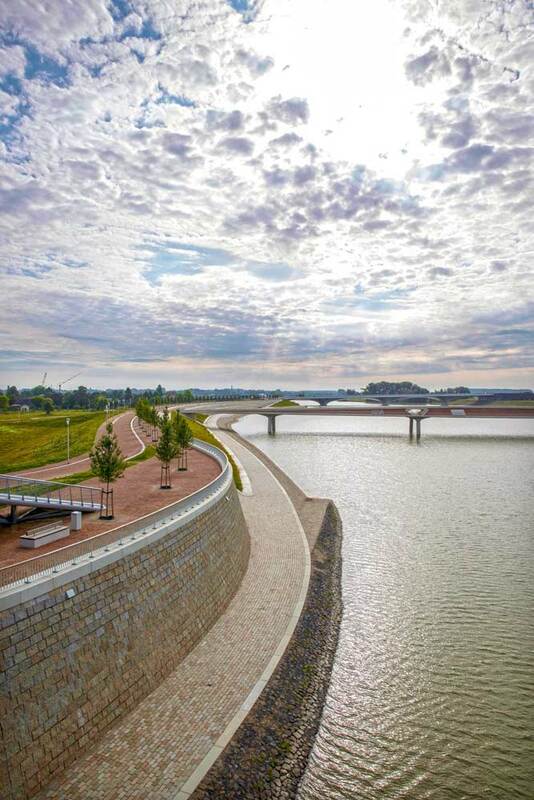 The urban river park is freely accessible and respectfully integrates archaeological and historical elements. 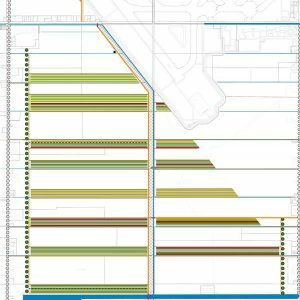 The design enables the space to be utilised in different ways, including the hosting of events and exhibitions on the new island. 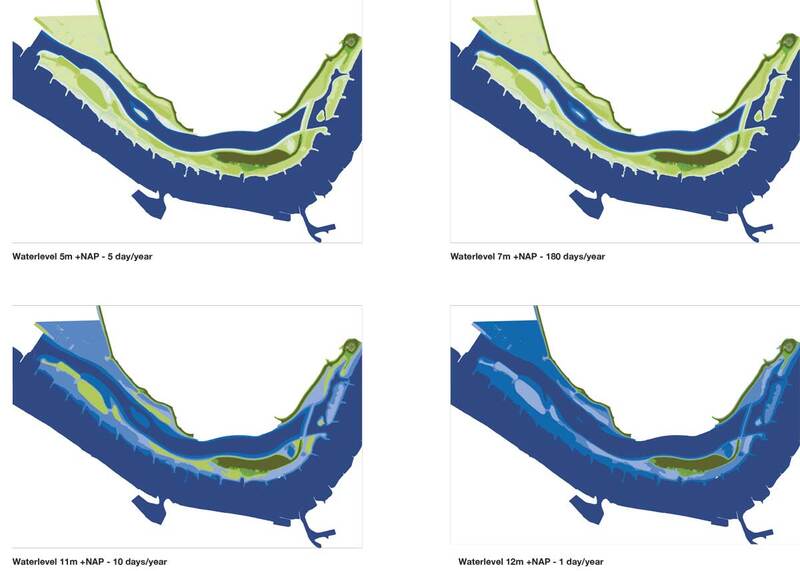 Experiencing the river landscape and incorporating the river dynamics was one of the main objectives. Some paths will occasionally be flooded in the event of high water levels, only being accessible via stepping stones. 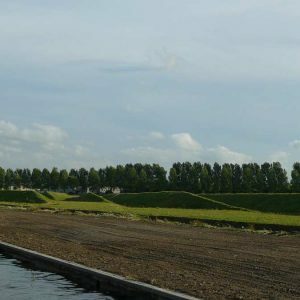 Conditions for sedimentation and erosion processes are carefully included in the design, which will gradually create various ecotypes, characteristic for the river landscape.